Challenging kids makes them stronger than you can imagine. 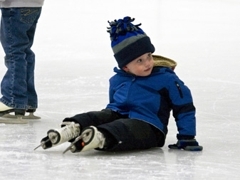 Learn to Skate USA strives to build your child's confidence every session. They do learn to fall, but more importantly, they learn to get back up! Given this strength, they might event learn to fly. Anything's possible once your kids gain the power they need to do good in the world. 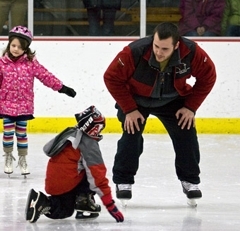 The Learn to Skate curriculum is new and improved. See class descriptions here prior to registering . See registration instructions below, must have a membership number with Learn to Skate USA. You will either have a new membership or a renewed one. Membership is good for a year and needs to be renewed once per year. Spring Session Dates-April 7, 14, 28 May 5, 12 (*no class 4.21 due to holiday) This is a 5 week session as opposed to 6 weeks. Class price adjusted accordingly. 1. Register with USFS (only once per year, calendar year runs July-June). If you already have a USFS number go to step 2. Make sure that registration is not closed for Verona Ice Lts before you do this. 2. 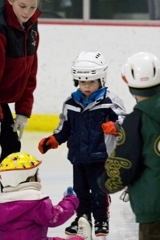 Register with Verona Ice Arena-See link above to register for current session. 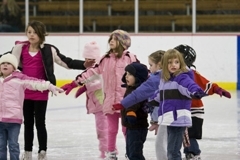 USFS will walk you through your Learn to Skate USA registration process and issue you a lifetime USFS number. Parents, register your skaters name not yours. Pay on line with credit card. USFS will mail you your “Welcome Packet” with your identification card, secondary insurance, class record books and other pertinent materials. You will need your USFS # to register for class. 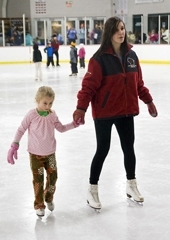 For those of you that want to learn at a faster rate and have considered private lessons, we offer lessons offered by Professional Rated Figure Skating Coaches. So if your ready for the next step, want individual attention, or just want more ice time, this is the perfect place to start. 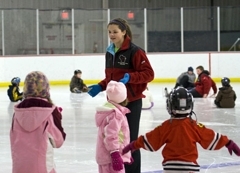 You will learn more things and get more attention then you would in our regular learn to skate classes. Fun pictures of some previous classes, come join the fun! Adventurous adults know desire overcomes age when exploring something fresh and new. 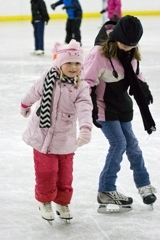 Learn to Skate USA recognizes skating as the timeless activity anyone can enjoy, young and young at heart. Our programs encourage adults and give them all the resources they need to stop asking "why?" and start asking "why not?"